ColourCraft Antique Telephone Design Back Case Cover for SAMSUNG GALAXY S4 MINI I9190@347 Rs [Mrp:-347] - Onlinedeals.discount - A leading product discovery website. Find the true prices of products, read reviews and buy top brand products at reasonable prices. This durable, stylish “Antique Telephone” 3D Designer case keeps your SAMSUNG GALAXY S4 MINI I9190 safe and protected. This “Antique Telephone” 3D Designer case’s total body is made up of Plastic Case With PC Printed Area. The back designs are totally customized designs; these designs on the cases are manufactured by “ColourCraft” after you place the order. 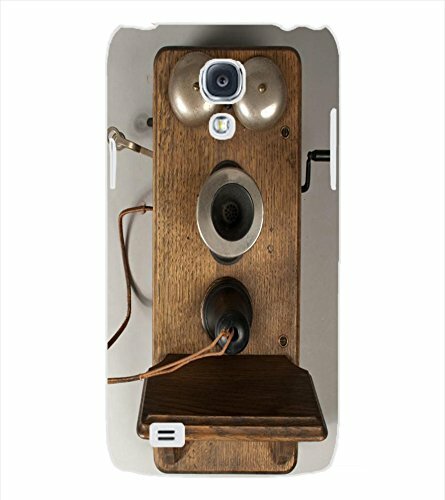 This “Antique Telephone” 3D Designer case allows easy access to all buttons, controls and ports of your SAMSUNG GALAXY S4 MINI I9190. Protect Your Smartphone From Everyday Scratches And Scuffs Without Adding Bulk. Give It A New Life And A New Finish. This “Antique Telephone” Designer case covers full back side of your SAMSUNG GALAXY S4 MINI I9190 and need not to replace the original back cover. This “Antique Telephone” Designer case cover is attractive, comfortable, light weight and has unique design; it perfectly fits and protects your SAMSUNG GALAXY S4 MINI I9190 from scratches and damage. Easy to install and remove. High quality finished case. Kindly place your order once you have decided, as this case is manufactured against your order. Do not cancel after placing order. This is printed “Antique Telephone” 3D Designer case, kindly note we will match 90% of image colours because the printer ink transfer rate is maximum 90%. If you are fine with the condition then you can place the order. Package: 1 x “ColourCraft” “Antique Telephone” 3D Designer Back Case Cover for your SAMSUNG GALAXY S4 MINI I9190.